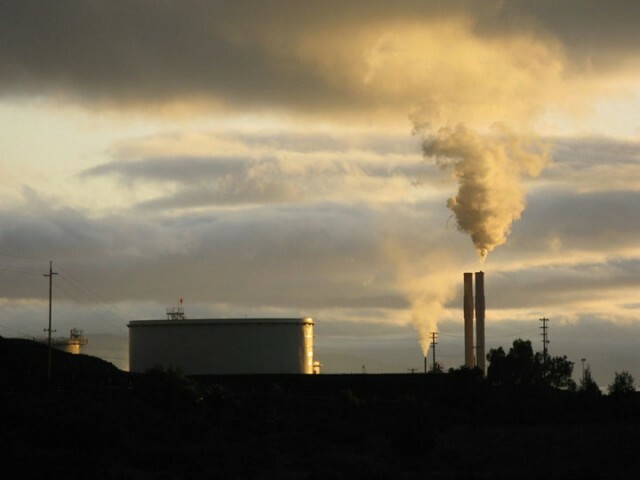 An image of a smoke stack. Canada-based Carbon Engineering says it has successfully developed a cost-effective technology for removing carbon from the air. Scientists and engineers have been underscoring for some time the need for carbon-capture technologies to help reverse the course of climate change. A solution of last resort, it relies on technology to strip the atmosphere of the most prevalent greenhouse gas — a process referred to as “direct air capture." Keeping global warming to less than 2 degrees C (the international target to avoid the most dangerous impacts) will likely require “negative emissions”—some way of taking lots of CO2 out of the atmosphere and storing it permanently, according to the Intergovernmental Panel on Climate Change (IPCC). Until now, the concept has remained elusive due to the exorbitant costs involved and few takers. But one Canadian company, Carbon Engineering, has been running a pilot facility since 2015 and says it has successfully developed a cost-effective technology for DAC. National Geographic called it an "engineering breakthrough." The founders recently published a paper detailing the costs of the ambitious project in the journal Joule. “Our paper shows the costs and engineering for a full-scale plant that could capture one million tons of CO2 a year,” David Keith, a physicist at Harvard University and founder of Carbon Engineering, told National Geographic. The quest for direct capture has been frought with failure. Last year, a Swiss company called Climeworks launched a DAC pilot facility. The plant contains massive fans that blow air into a solution that contains a carbon-capturing chemical. But the American Physical Society found that the procedure would likely cost about $600 per metric ton of captured CO2. With our addiction to fossil fuel contributing close to 40 billion metric tons of CO2 a year, which doesn't "pencil." Keith and his team used their findings to project the costs of an actual commercial plant with the same technology. They claim their technology can capture CO2 for between $94 and $232 per metric ton. “This isn’t going to save the world from the impacts of climate change, but it’s going to be a big step on the path to a low-carbon economy,” Keith told National Geographic. [B]ecause the process recycles carbon from the air, it would constitute a low-carbon fuel, something that places such as California are increasingly requiring in their fuel mixes, and which command a premium price. The eventual demand could further drive down costs. But for the technology to truly succeed in making a dent in international climate recovery goals, it will require widespread adoption, according to Klaus Lackner, director at the Center for Negative Carbon Emissions at Arizona State University. “We will need a trillion-dollar industry to [keep warming below 2 degrees C]. That seems like a lot, but today’s airline industry is larger,” Lackner told National Geographic. The Economist magazine reports that the founders of Carbon Engineering want to eventually license their technology to fuel manufacturers. They hope to begin construction of their first commercial plant before the end of the year.